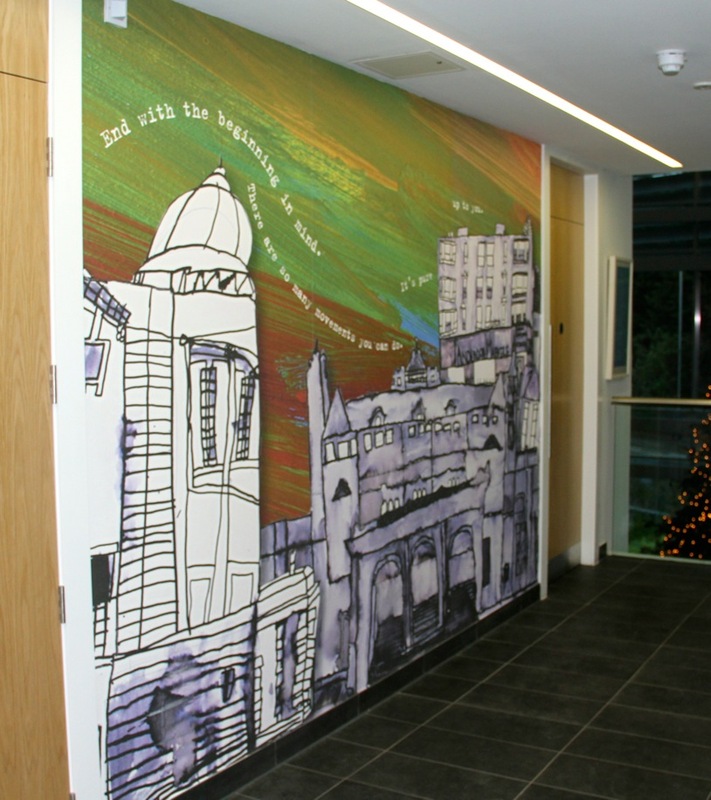 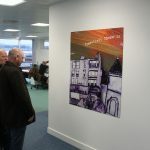 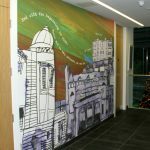 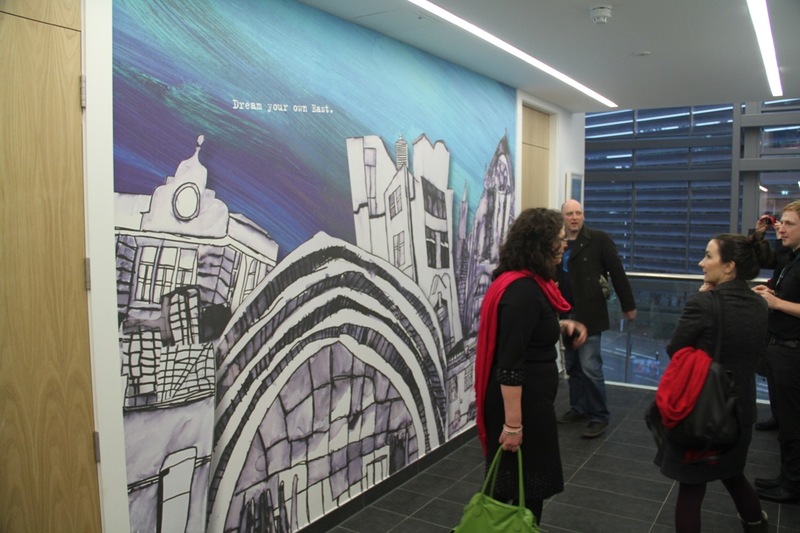 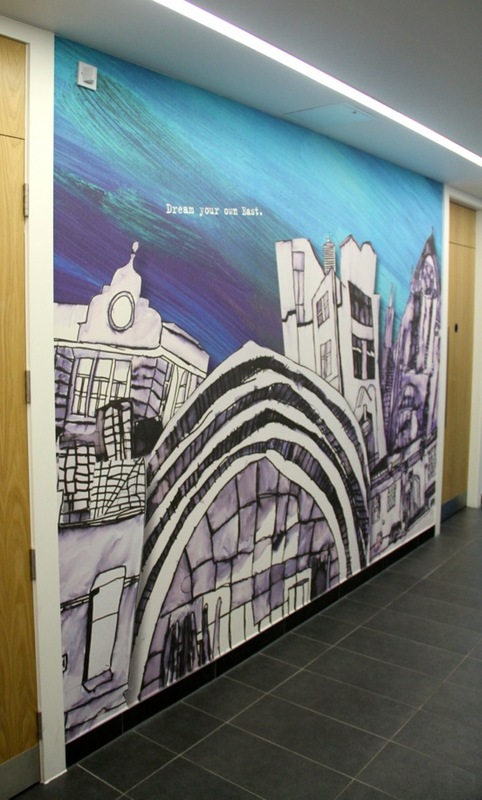 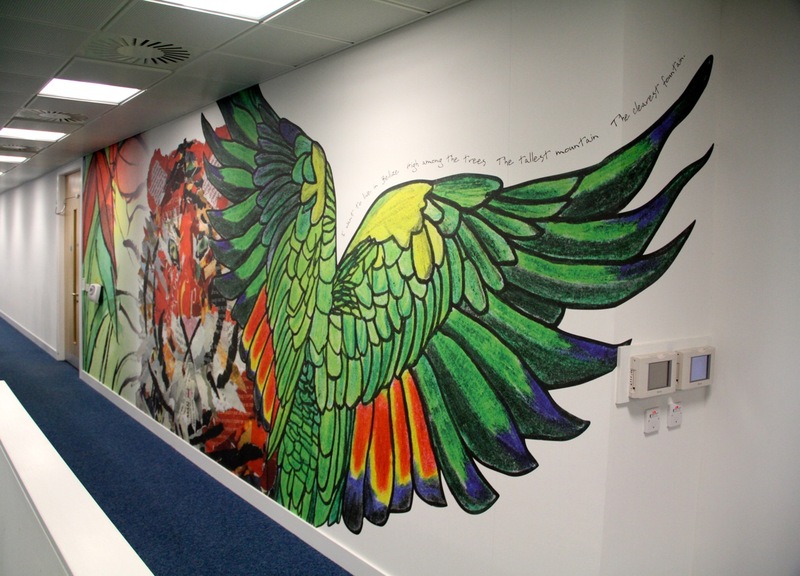 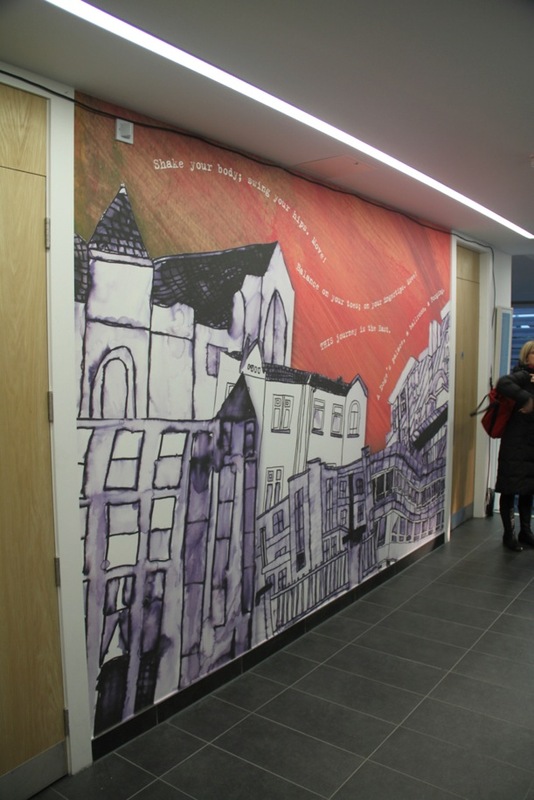 We were delighted to work on the Eastgate building mural as part of the team from WAVE. 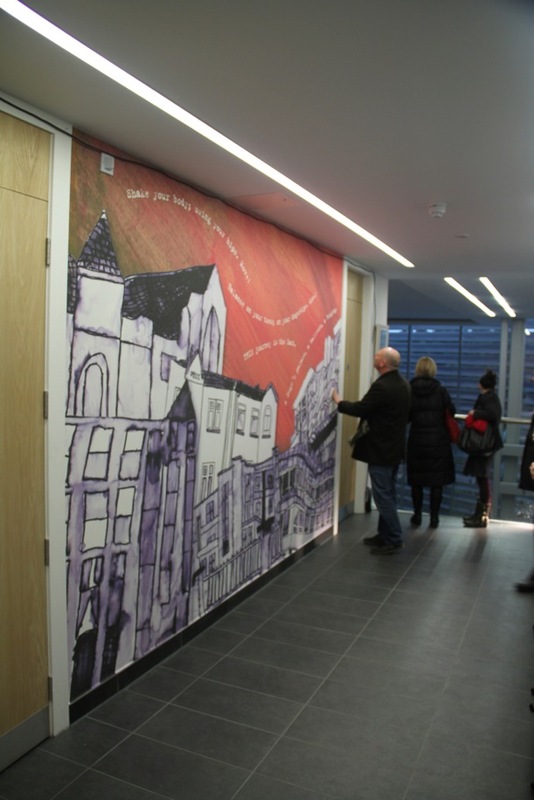 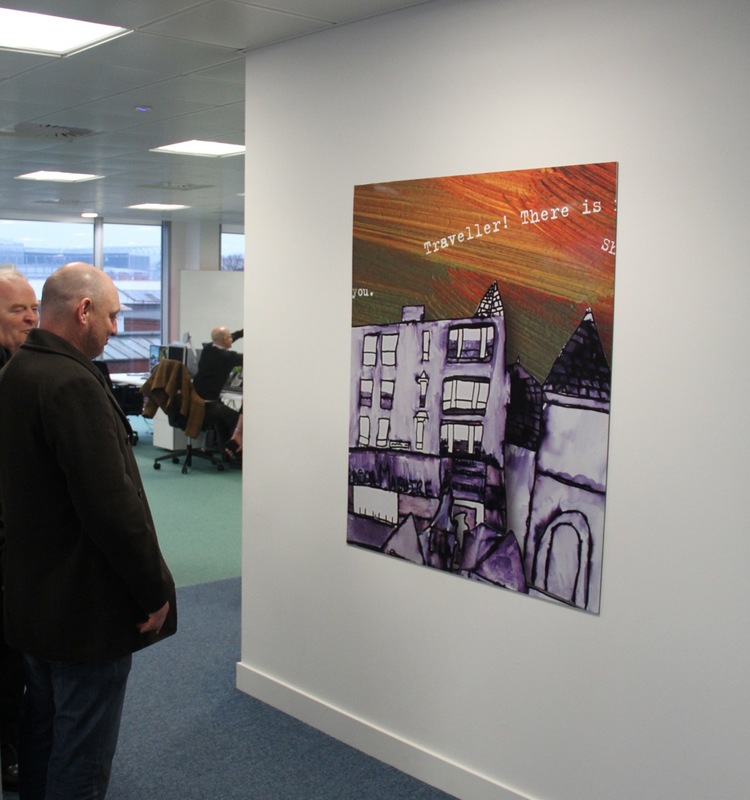 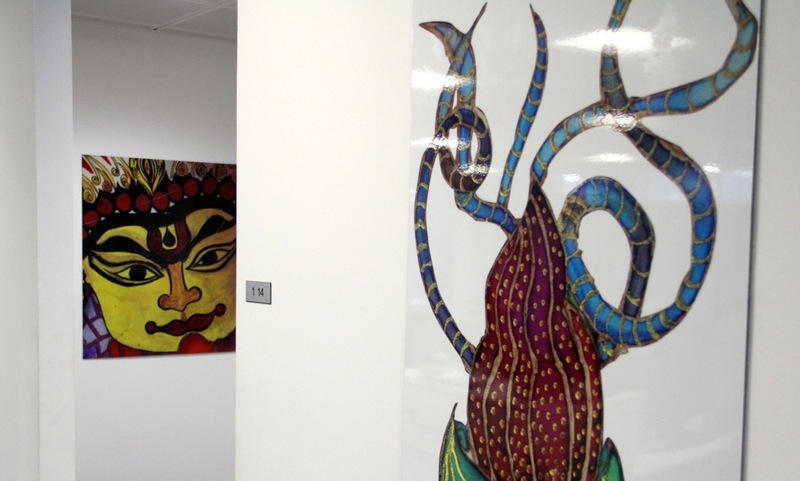 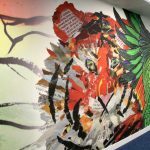 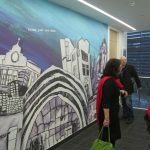 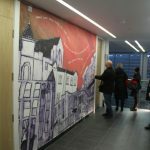 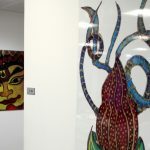 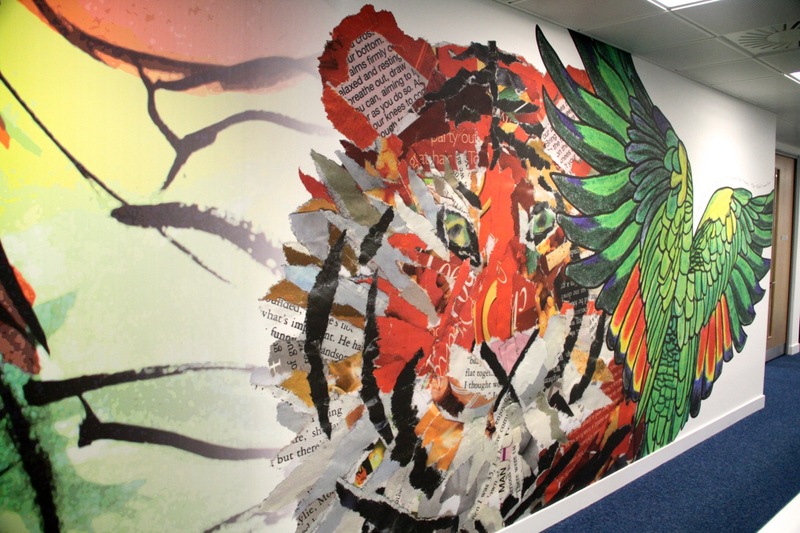 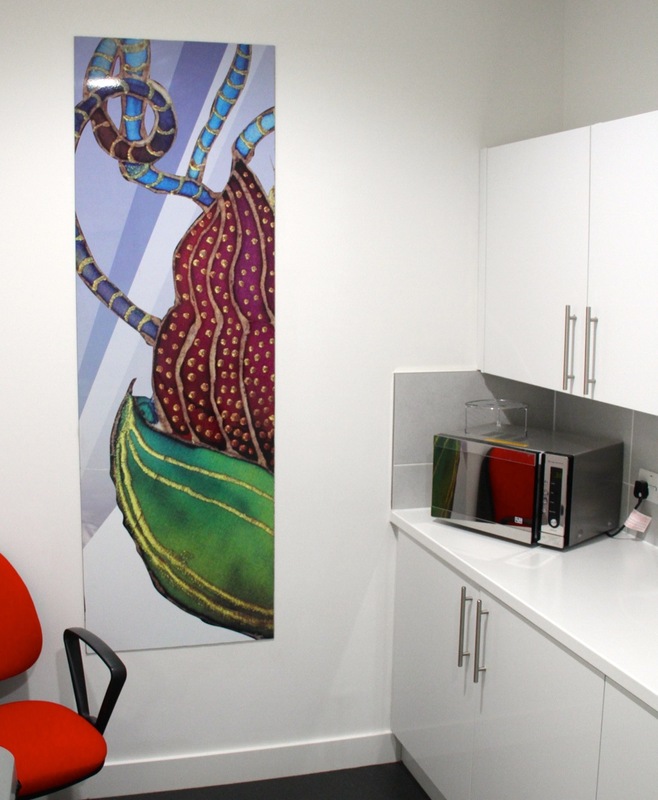 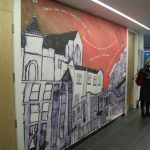 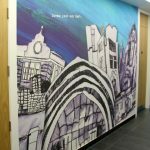 Such was the positive response to the 100m+ long mural that adorned the hoarding during the construction of the Eastgate building, the clients were keen to see it used in the interior decoration. 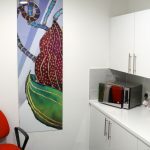 The dibond panels survived their 12+ months outside remarkably well, and were cut down and recycled throughout the building. 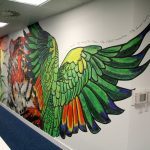 In addition elements of the design was also reproduced onto graphic wallpaper to create a stunning floor to ceiling result.